For Arkansas UOCAVA voters this is a one-stop resource on how to vote an absentee ballot, including any special requirements or guidelines that may apply to you. Here you’ll find out how to become a registered voter, as well as how to request ballot materials and make sure your ballot is processed in a timely fashion. For more information on Military Dependents go to our FAQ section at the bottom of the page. *Note: “Uniformed services” means the United States Army, United States Navy, United States Air Force, United States Marine Corps, and United States Coast Guard, the United States Public Health Service Commissioned Corps, and the National Oceanic and Atmospheric Administration Commissioned Officer Corps, or as defined in the federal Uniformed and Overseas Citizens Absentee Voting Act if different from this definition. UOCAVA voters can register using an Arkansas Voter Registration Application (click here) or they can (click here) to request that an application be sent by regular mail or email. UOCAVA voters may also register using the Federal Post Card Application (FPCA). (click here) to download the Federal Post Card Application (FPCA) in Adobe PDF or by calling toll-free 1-800.482.1127. Return your completed FPCA directly to your County Clerk; for a list of Arkansas County Clerks, please (click here). The Federal website is www.fvap.gov, and the toll-free number is DSN 425-1584. The FVAP toll free number is 1-800-438-VOTE (8683). Be sure to register thirty (30) days prior to the election in which you want to vote. For the March 1, 2016 Preferential Primary and Nonpartisan General Elections the deadline for registering to vote is Monday, February 1, 2016. For the November 8, 2016, General Election and Nonpartisan Runoff Election, the deadline for registering to vote is Monday, October 10, 2016. If you are unsure whether you are registered to vote in Arkansas please (click here). To request an absentee ballot you may complete the Arkansas application (click here) or you may use the FPCA (click here). Please complete your absentee ballot request as soon as possible so that your ballot can be sent in time for you to mark the ballot and return it to your County Clerk. UOCAVA voters may request that an absentee ballot be sent by mail or by electronic means. The ballot delivery system called Ballot Safe will be used again in 2016 which will allow eligible active duty military and overseas voters to receive their absentee ballot through a secure online website. After a qualified voter has requested an absentee ballot, the voter will receive a confirmation email with instructions on how to log into the secure site. The voter will download the ballot and other necessary documents, such as a Voter Statement, instructions and envelope templates. After marking the ballot before the polls close in Arkansas on election day, the voter will mail it back to their County Clerk. Ballots from UOCAVA voters must be received no later than ten (10) days after the election. The deadline for the Preferential Primary Elections and the Nonpartisan General Election 5:00p.m. on March 11, 2016. The deadline for the General Election and Nonpartisan Runoff Election is 5:00 p.m. on November 18, 2016. After the ballot is mailed, the voter can check back on the secure site to track the status of the ballot and confirm when it has been received by their County Clerk. Because there is not sufficient time after the votes are counted on Election Day to send another absentee ballot to UOCAVA voters, a “Special Runoff Ballot” is provided with the absentee ballot. Complete the special runoff ballot, at the same time as voting your election ballot, and it will be tabulated in the event that there is a runoff election. Indicate your first-choice by marking the number “1” in the space provided beside the candidate’s name, indicate the second choice by marking the number “2” in the space provided beside the candidate’s name, and the third choice by marking the number “3” in the space provided beside the candidate’s name and so on. • You may rank only one candidate if you choose. • Do not mark the same number beside more than one candidate. • Do not skip numbers. Your ballot will be counted in the runoff, if there is one, according to the order in which you rank the candidates. Your choice marked “1” will be counted if that candidate makes the runoff. If your first choice does not make the runoff, but your choice marked “2” does, your second choice will be counted, and so on. Under the provision of the Uniformed and Overseas Citizens Absentee Voting Act (UOCAVA), the Federal Voting Assistance Program (FVAP) also provides a “back-up” ballot, called the Federal Write-In Absentee Ballot, or FWAB. The FWAB serves as an emergency ballot to be used by a UOCAVA voter who did not receive his or her regular ballot. If you complete the Federal Write-In Ballot and later receive a standard ballot, you should complete the standard ballot, as well. In the event that the election commission in your home county receives both ballots from you, they will only count the standard ballot. The FWAB won’t automatically populate with local races where your vote may have the most impact; you would have to write them in. To download your Federal Write-In Absentee Ballot, (click here). For more information on MOVE Act, please visit the FVAP site at www.fvap.gov. Q. How can I get help if I have questions about the voting process? Q. What are the instructions for members of my family who are stationed with me? A. Contact your County Clerk. 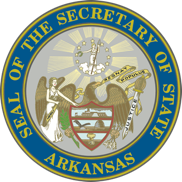 If you have access to a computer, email the Elections Division of the Arkansas Secretary of State at: electionsemail@sos.arkansas.gov. You may also log on to the website of the Federal Voting Assistance Program at (www.fvap.gov), which provides information for servicemen and women overseas. The FVAP also helps all military personnel with access to a DSN phone. Dial toll-free DSN 425-1584. Q. Most of the instructions refer to my legal voting residence and my county of residence. As a member of the armed forces who has been transferred, what is my official residence? A. For voting purposes, your residence can be either the place you last resided before entering service, or it can be your new legal residence. Military and family members may change their legal residence each time they change permanent duty stations, or they may choose to retain their original residence. A valid street address - even your former address - is required to be sure you are voting in the correct precinct. P.O. Boxes are not allowed. Consult a legal officer before changing residence, because other factors besides voting must be considered. Family members follow the same procedures as military personnel.